Transource® balances the need for electric transmission infrastructure with land use and works with landowners at each step during the project’s development. The utility considers landowner concerns and preferences when determining the power line route. Many existing land uses such as farming, pastures and orchards can be accommodated along with the need for an obstruction-free right-of-way during construction, operation and maintenance of the power line. The company is committed to providing its customers with a reliable electric service supported by a resilient transmission grid. During construction and maintenance of transmission lines and substations, the utility may need to build new or upgrade existing access roads. Access roads surfaces may be soil or stone and range from 12-20 feet in width. Actual width of an access road construction area can be up to 40 feet. Width of road can increase to accommodate turns or switchback areas. In most cases, company representatives are able to work with impacted landowners to determine the most practical access road locations. In addition, representatives discuss any associated mitigation with impacted landowners. Heavy equipment is used to clear and grade the access road. Erosion and sediment controls are used to prevent storm water runoff and lessen environmental impacts per federal, state and local guidelines. Once the project is complete, company representatives will continue to work with landowners to determine final road standards. Access roads will remain in place to facilitate future maintenance of company facilities. The company works with landowners at each step in the process. Transource attempts to balance landowner concerns and preferences with the need for electric infrastructure when locating rights-of-way. Transource also pays for crop damage and/or physical damage to property resulting from the construction and/or maintenance of the transmission line. What does it mean if there’s an easement on my property? Any item or activity that could interfere with the safe, reliable operation of transmission facilities is called an encroachment and is prohibited under the terms of a right-of-way acquisition. Transource will defend the easements it purchased to ensure reliable operation of its transmission system. Transource can refrain from establishing new service at a property where there is an encroachment or where prohibited activities are occurring. Transource may also require an owner to remove an encroachment at the owner’s expense. What is allowed in the right-of-way easement? 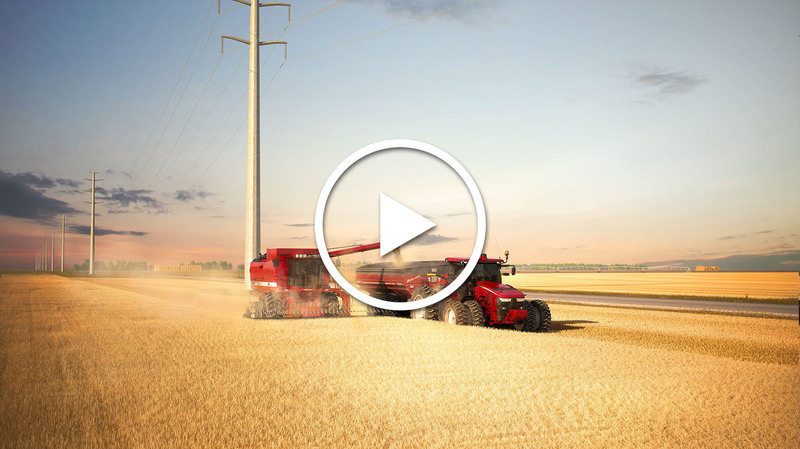 What is transmission siting and why is it important? Unlike any other product, electricity must be delivered the instant it is being used. The electricity that lights a light bulb is instantly being generated at a power plant, or a wind or solar farm many miles away. To maintain reliable electrical service, all components of Transource’s system — generation, transmission and distribution—must be in balance and working together. The failure of one element, without adequate backup, can affect the entire system. The first step to achieving maximum reliability is through effective transmission siting, routing and the strategic placement of high voltage transmission lines and substations. Having sufficient transmission capabilities is of utmost importance, as undersized or overloaded components between the power plant and the distribution system can pose a threat to reliable service across a wide area or an entire community. Siting transmission facilities is a complex, technical process that involves balancing disturbance to human, cultural and natural resources with a community’s need for reliable electricity. To start the siting process, Transource siting specialists define a study area and conduct a due diligence review to determine constraints. Preliminary study segments are developed based on all publically available data, seeking to limit impacts by identifying the most direct path that attempts to avoid known constraints with special emphasis on avoiding homes. Each project goes through a feasibility test. In addition to considering environmental disturbance and impacts on people, including landowner requests, the cost-effectiveness, practicality and efficiency of the project are also inputs into the review. Throughout the process, attempts are made to limit the overall impact of the line on its surroundings while maintaining a technically buildable design. Transource’s guiding principle in siting transmission facilities is to avoid or minimize impacts to people and the environment to the greatest extent possible. Transource works with regulatory agencies to obtain all the required federal, state and local environmental permits and approvals. Requirements can vary based on geographic location, environmental or cultural resources, and construction.